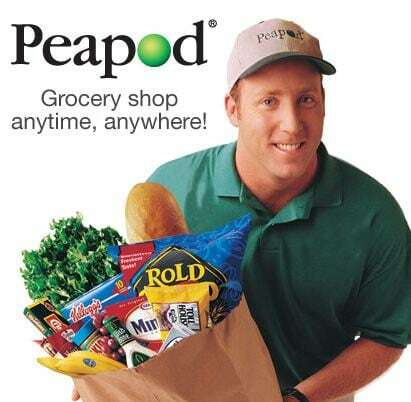 Peapod is the ultimate convenience in grocery shopping. Its virtually an online grocery store that swiftly delivers your order right to your doorstep! Grocery delivery can be a very handy service for many reasons. Product received for review. Post contains affiliate links. I received a gift card in order to review my online shopping experience. In all honesty, I had some issues at first. For some reason I was unable to add items to my cart when using Firefox. I switched to Google Chrome and everything was fine. Another issue was that I spent about a good half hour filling up my online shopping cart only to be told that I was not logged in. After logging in my cart was then empty! That frustrated me and I hope that they can add a feature that will save your choices whether you are logged in or not. After my few hiccups, everything was fabulous. I had to call customer service once (this was due to my own stupidity) and they were pleasant and helpful. The grocery choices were amazing. They had everything I needed and more. I particularly liked all of the organic options and produce selections that they had to offer. Finding the sales and specials is easy, too – it has its own tab! I love that I didn’t have to hunt down the savings. 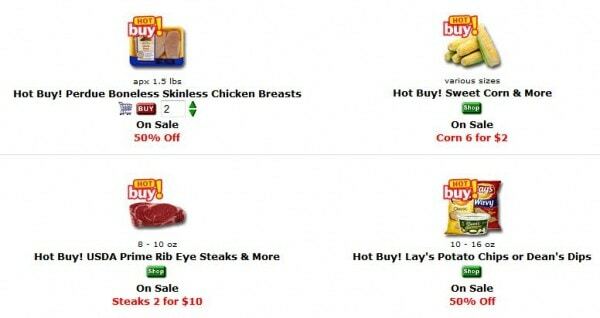 Pair these deals up with Peapod Coupons found on Coupon Trade and you are golden! Peapod offers a huge range of delivery time options. I appreciate this because it’s not always easy to have someone sit home all day to wait for a delivery. They also offer savings if you choose certain “greener” times. I chose one of those, of course! You can opt to get emails that keep you posted on the delivery person’s arrival. My guy showed up exactly at the specified time. He was extremely nice and patient due to my dogs almost attacking him! All of my groceries were exactly what I ordered and in excellent condition. This service could seriously spoil me! Included with the delivery were a couple of enticing savings to keep me coming back, too! Now, will I stop going to the grocery store? Of course not, but Peapod is a great option to have. I can see myself using them when I am extra busy, if I am not feeling well, when it’s below 20 degrees in the winter, or just occasionally for the convenience. Now that I have checked them out and worked out the kinks, I would definitely feel more comfortable using the site again. I would love to hear your thoughts. Have you considered, or do you currently use an online grocery store delivery service? I love it. I keep some things on a regular standing order and get it every two weeks.Included in this a ‘fresh harvest box’ full of currently available fruit and veggies.I can customize so that I can never get particular foods and always get others but other than a couple of strong opinions, I like to get surprised by it. I have discovered many fruit and veggie varieties I may not have otherwise tried. I do sign on a couple of days before the delivery is due and add or remove things based on what is local in season at the farmers market or on sale at the grocery store. I’ll also add in the really heavy stuff (I have no car) like a case of rice milk. I think its a great feature. I always have fresh food and make sure to use it before it goes bad and there is no temptations to buy junk food while waiting in the checkout line. I hate going to the grocery store, hate, hate, hate it… lol. This is definitely something I would consider as it would be a lot more convenient. Thanks for the review & the tip on using Chrome and being logged in first. This is fantastic! Great time saver! I have never used a grocery service (I think it would take a long time before they came up here to rural NH!) but it sounds awesome! I HATE grocery shopping, I’m going to look into this. Thanks so much for letting me know about it! I have used Safeway.com delivery service once before. It was pretty convenient for loading up on heavy things! I defintely think grocery delivery services are fabulous for certain groups that could use the assistance and a fun luxury for everyone else! I’ve been eyeing up Peapod for when I’m more pregnant because hubby HATES food shopping. This would save many fights between us!